As fantasy baseball nears its playoff stretch, some players are available that can help you push the power totals. It's also a good week to stream starters given some of the matchups. 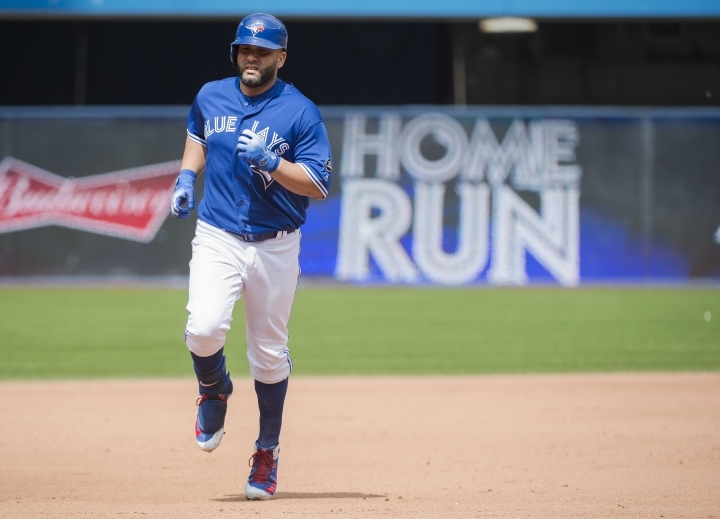 KENDRYS MORALES, 1B, Toronto Blue Jays (24 percent owned in CBSSports.com leagues) — The veteran slugger has been on a power surge recently. Over the past two weeks he's batting .358 with five home runs and 10 RBIs. TYLER WHITE, 1B, Houston Astros (9 percent) - White has also been hitting the long ball. In his last 12 games he's batting .381 with five home runs and 12 RBIs. It appears the Astros will continue to put him in the lineup every day until his bat cools off. 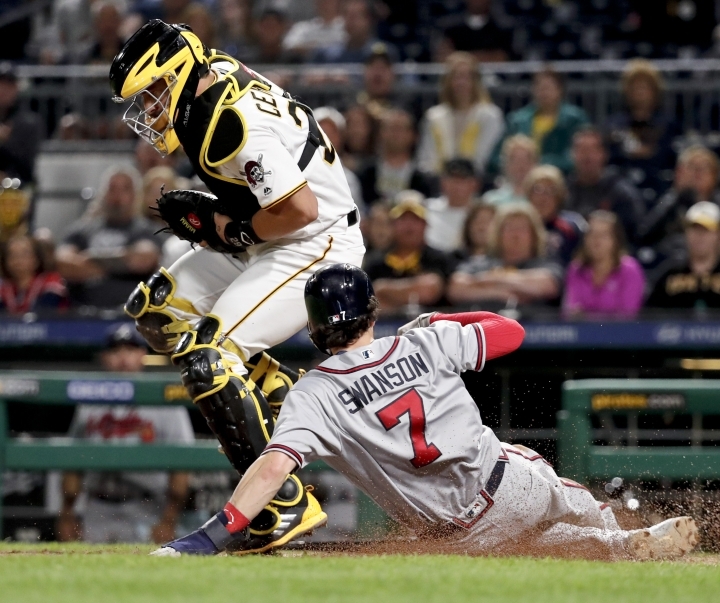 DANSBY SWANSON SS, Atlanta Braves (38 percent) - Many forget that the talented Swanson was the No. 1 pick of the 2015 draft. Fantasy baseball players have been waiting for him to fulfill his potential and it seems like he may have turned the corner. He has 12 home runs and six stolen bases this season, and in his last 12 games he's driven in 12 runs and hit four home runs. DELLIN BETANCES RP, New York Yankees, (40 percent) - With Aroldis Chapman hitting the DL with tendinitis in his knee and David Robertson nursing a sore shoulder, Betances should see some short term save opportunities for the Yankees. EDWIN JACKSON, SP, Oakland A's (44 percent) -Jackson has a 2.97 ERA and 1.15 WHIP in 11 starts for the A's this season. He faces the Astros and Mariners in the coming week. He's already had one productive start against the Astros this season (5.2 IP, 2 ER), and he owns a career 4-0 record and 1.26 ERA against the Mariners. BRIAN JOHNSON, SP, Boston Red Sox (28 percent) - Johnson may not have the best stuff in the Red Sox rotation but he has the luxury of pitching for a team that rarely loses. He has great matchups against the Marlins and White Sox upcoming. JUNIOR GUERRA, SP, Milwaukee Brewers (58 percent) - Guerra pitches against the Reds and Nationals next week, two teams that he has had good success against. He has a cumulative 2.74 ERA against those two teams this season and has struck out 23 batters in 23 total innings pitched against them as well. TYLER AUSTIN, 1B, Minnesota Twins (9 percent) - Austin is a classic ride him while he's hot candidate. In his first nine games since being traded to the Twins he's batting .333 with three home runs. He's batting .450 in six career games at Minnesota's Target Field. AUSTIN ROMINE, C, New York Yankees (28 percent) - Romine has favorable matchups against the Orioles and White Sox in the next week. In seven games against the Orioles this season, he's batting .393 with two home runs and nine RBIs. MELKY CABRERA OF, Cleveland Indians (15 percent) - Cabrera is batting .341 with five home runs and 14 RBIs over his past 12 games. He has juicy matchups against the Royals and Twins over the course of the next week.